This month marks ten years since the most damaging Feniton floods in recent years. Memories for many remain painful. The risk of repeated trauma still exists; floods are a present threat as well as a past reality. Progress with alleviation schemes is frustratingly slow. In the meantime there is much gratitude for the invaluable work of flood-wardens and local councillors. Some reading this won’t have been affected personally, or you may live in another village. But a community’s feelings are shared. Most will have experienced different traumas in their lives. Each of us have our own unique story to tell. Each need our story to be heard. This is our experience. We matter. Reel back the millennia, and if we listen to the story of Noah from his mouth, I suspect we would hear a very different narrative from the grand one we’ve inherited. For him it meant a lost home and lost community. Uncertainty, anxiety and fear. A future in an unfamiliar land to be slowly grafted out. 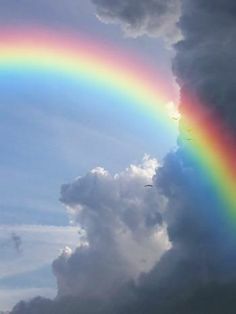 Thankfully also a seed of hope, planted by the sight of that rainbow, to uplift and sustain. How can we be carried through our experiences? St Andrew’s church will offer a particular space of remembrance and reflection of the ten year flood (and other such events). On Sunday 28th October, the eve of the flood ten years ago, candles will burn in the church through the afternoon (from 2- 5pm). Any stories, memories, anxieties or hopes can be written down and left there. From 4.30-5pm there will be a period of shared remembrance and reflection. Anyone is welcome. Ahead of this, a written invitation will be given specifically to those whose homes were so harshly invaded by the water, to pen their own story if they wish, whether or not they share this with anyone. We each glimpse things that give us hope – our own rainbow – in different ways: through a person, something practical, or something intangible. Whatever our ‘flood’, may the sharing of our stories help bring hope and wholeness.